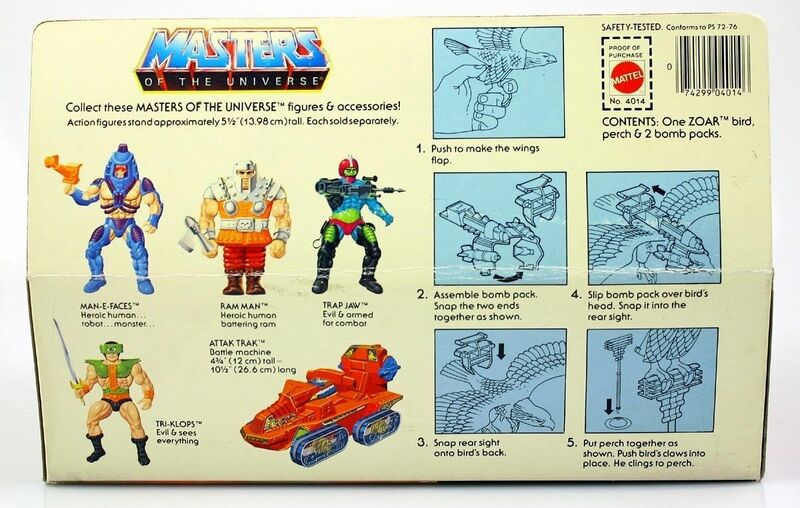 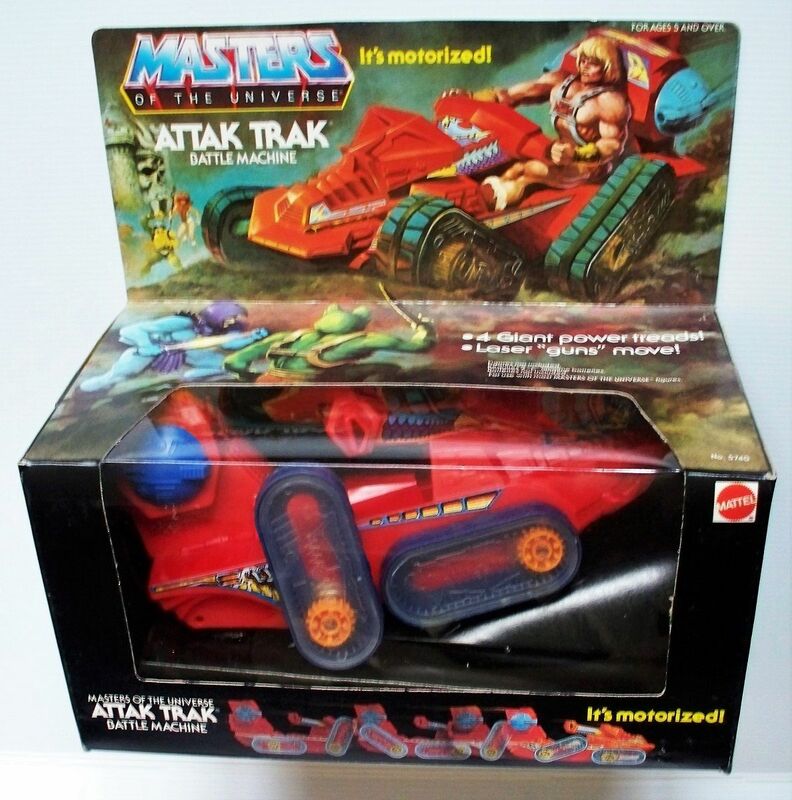 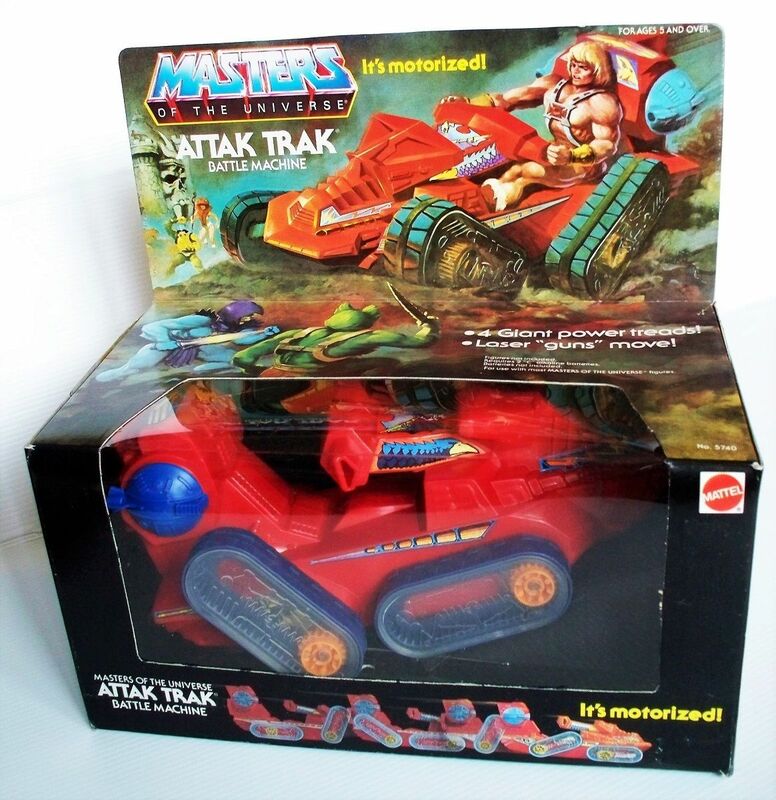 Description: He-Man pilots the Attak Trak over rough terrain. 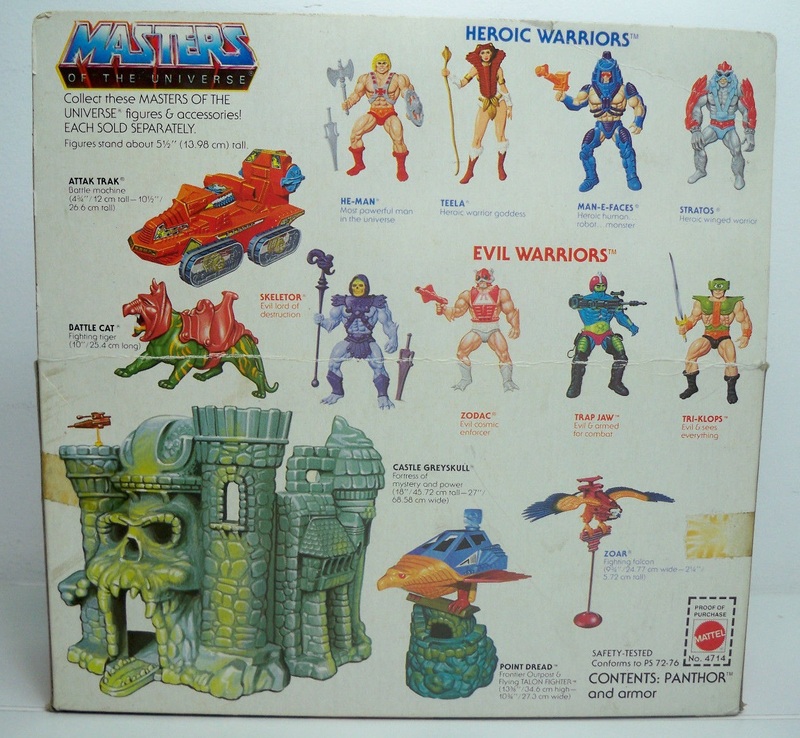 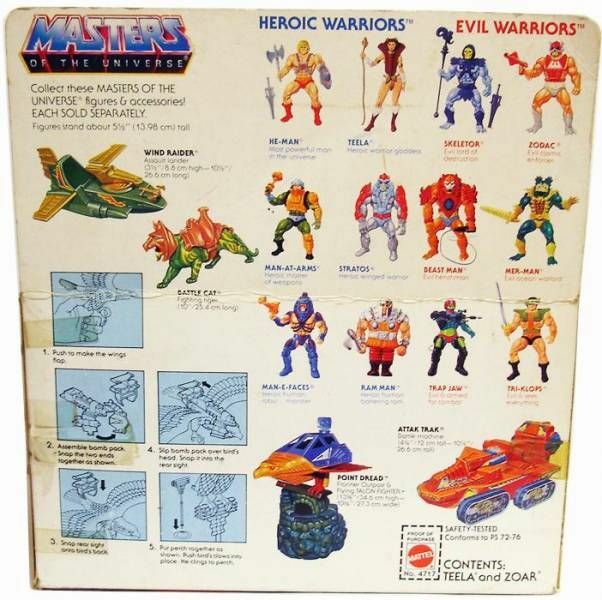 Skeletor and Mer-Man are ready to attack, while Man-At-Arms and Teela stand in defense of Castle Grayskull. 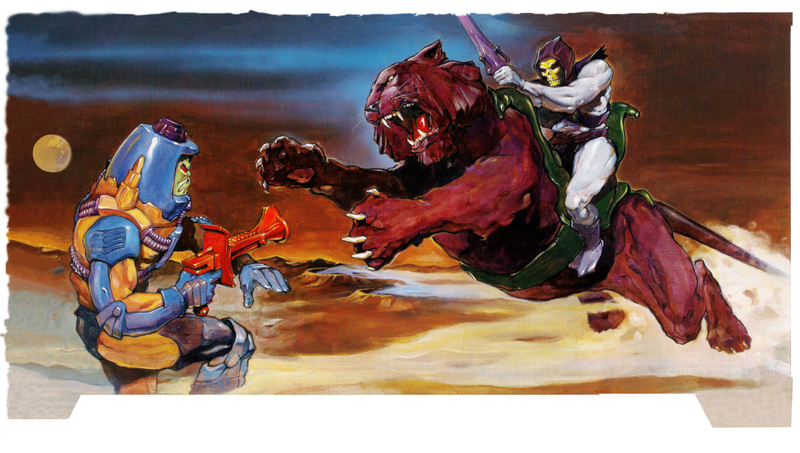 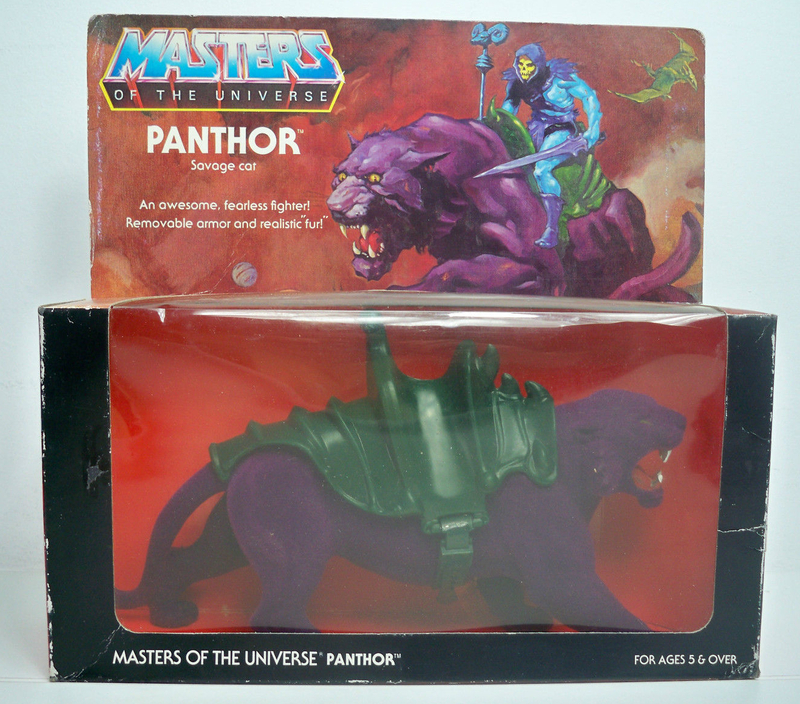 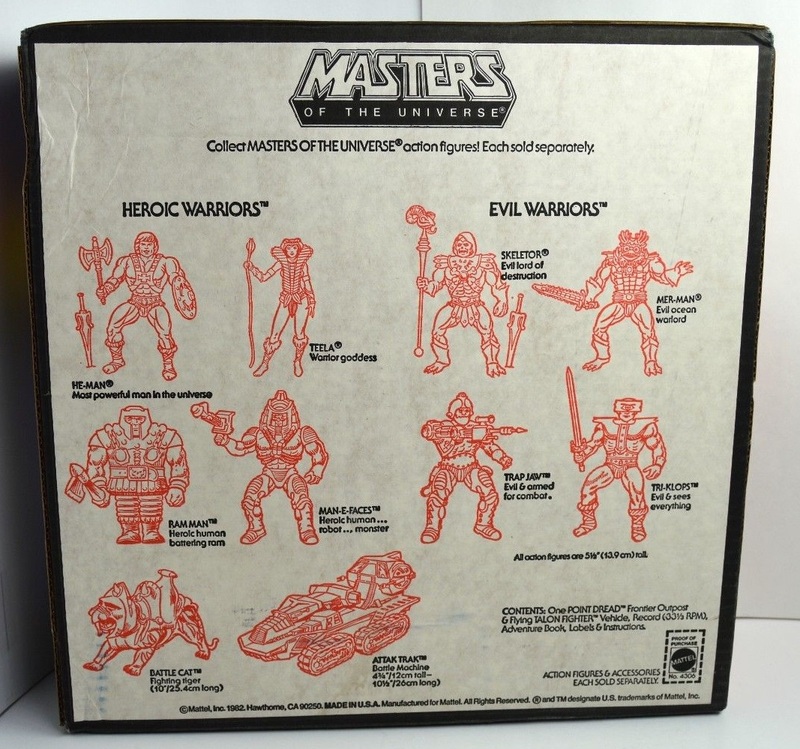 Description: Panthor swipes his claws at Man-E-Faces, as Man-E-Faces takes aim with his blaster at Skeletor, who is riding atop the savage cat. 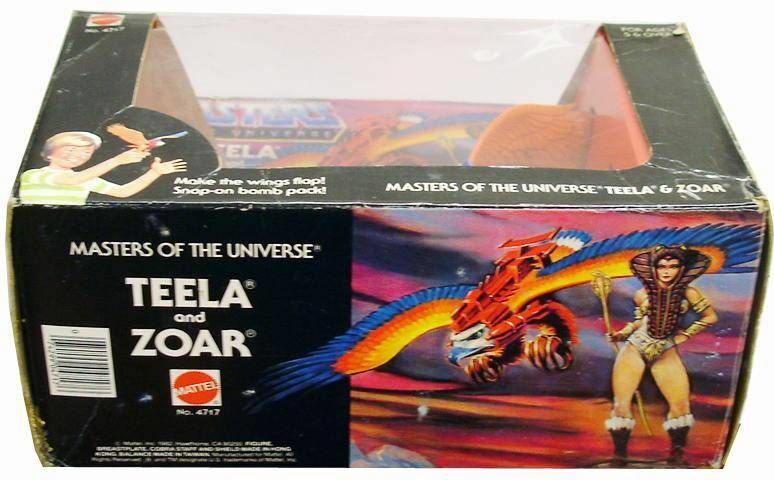 Twin moons hang in the smokey sky. 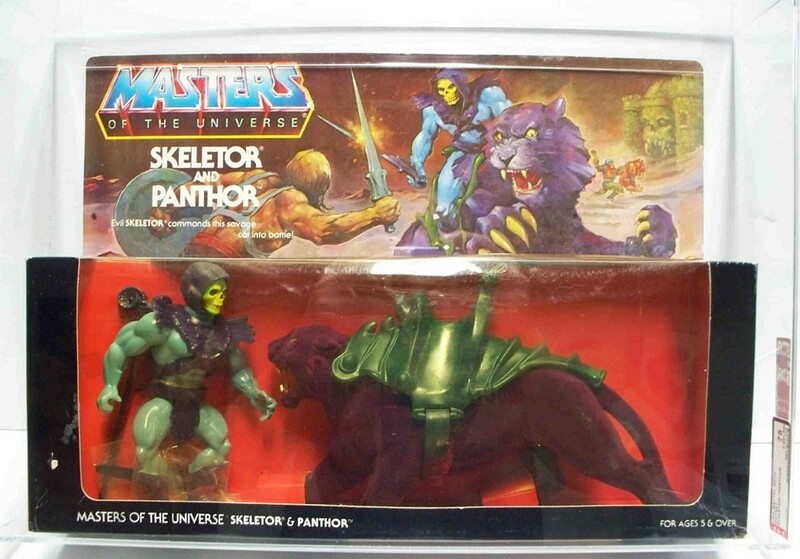 Description: Skeletor and Panthor navigate alien terrain. 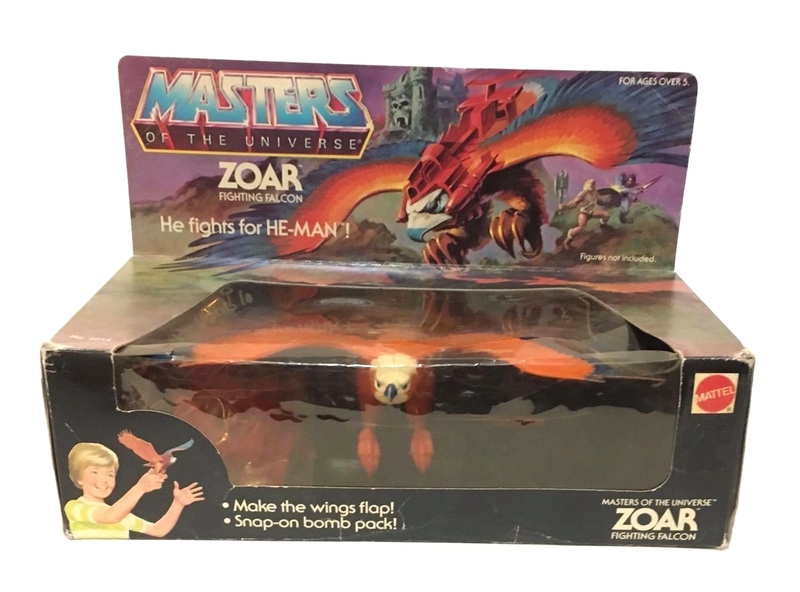 A pterodactyl-like creature swoops in the air and two alien moons set on the smokey horizon. 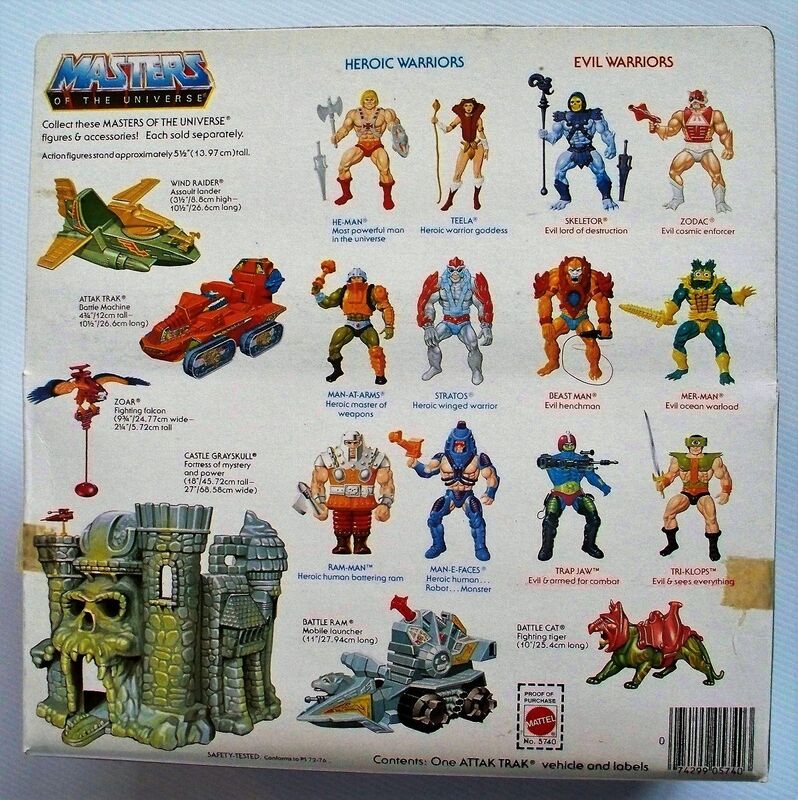 Castle Grayskull stands in the background, shrouded by mists and blowing sand. 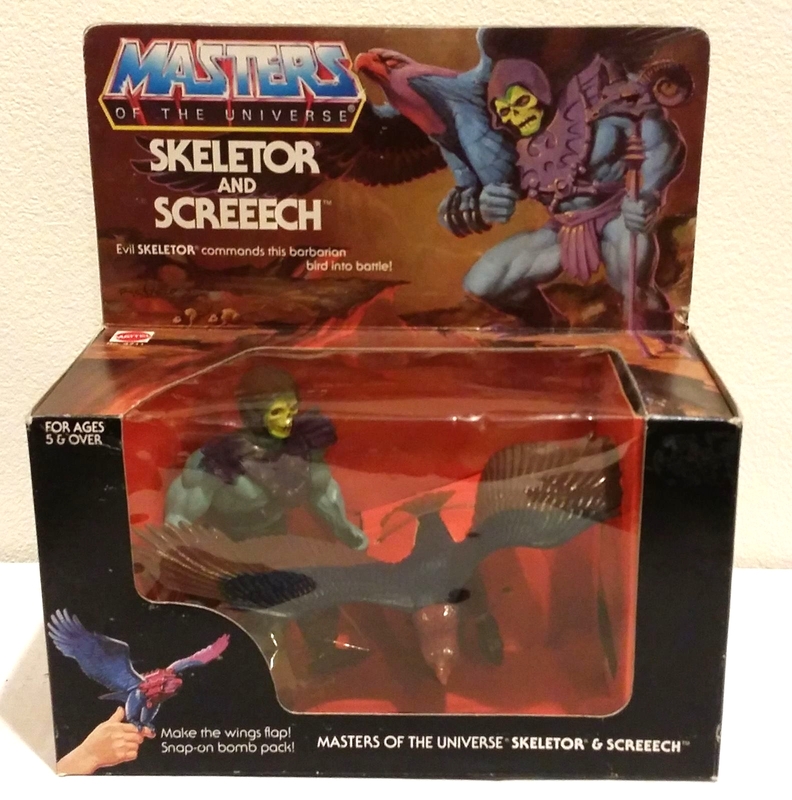 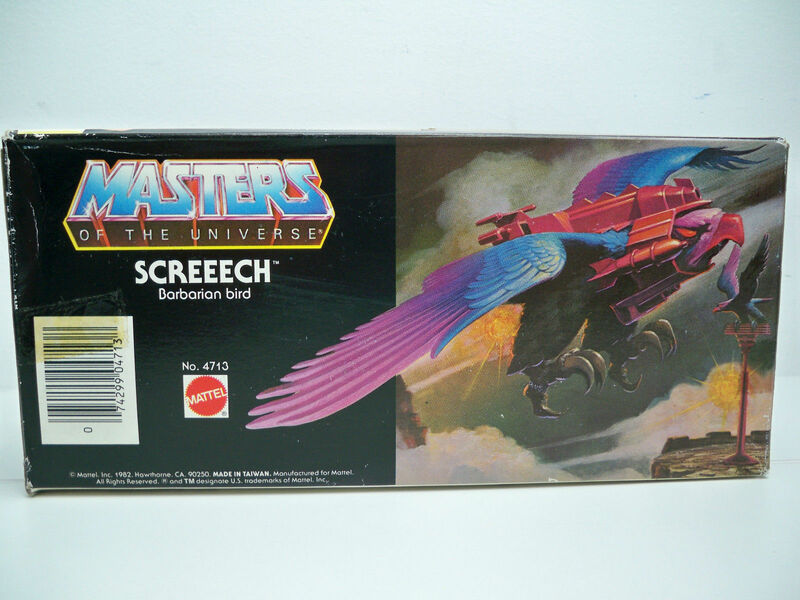 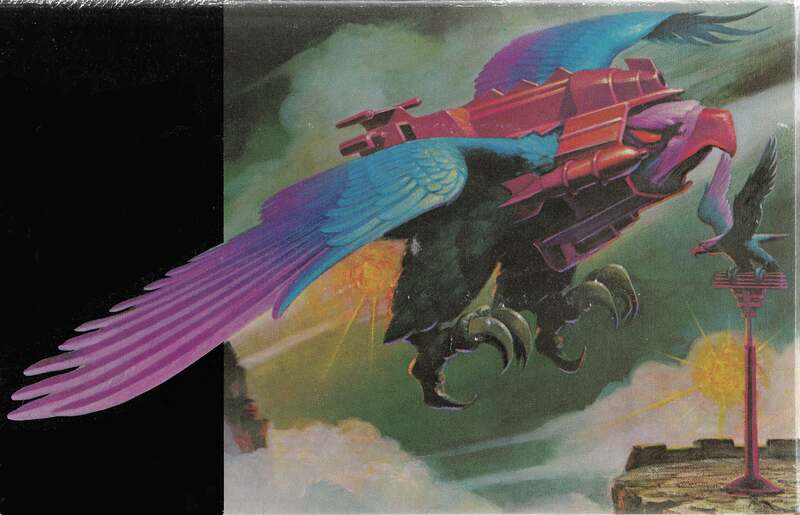 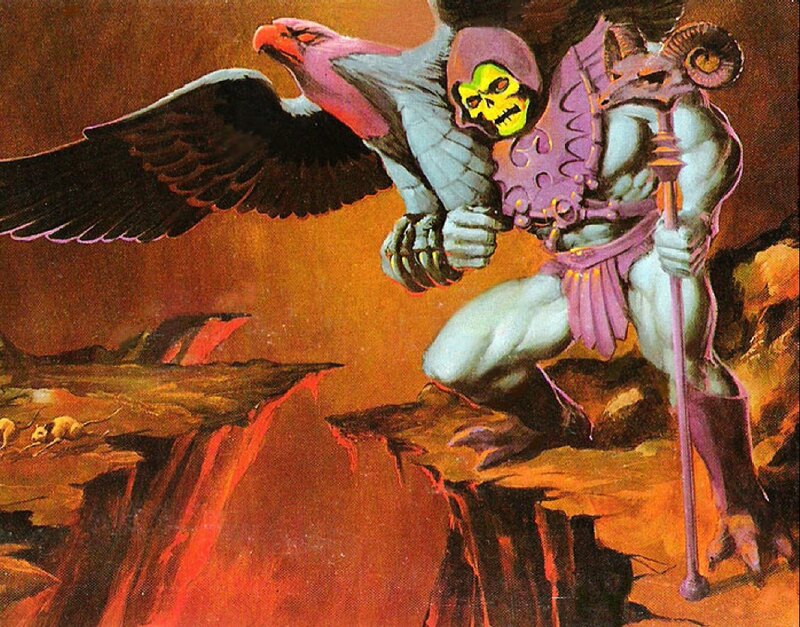 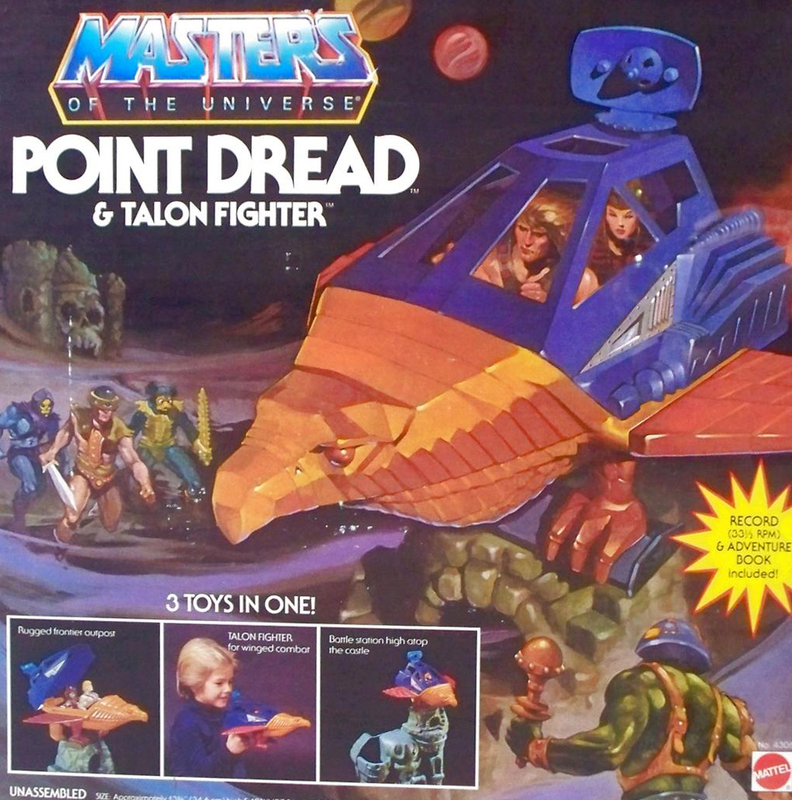 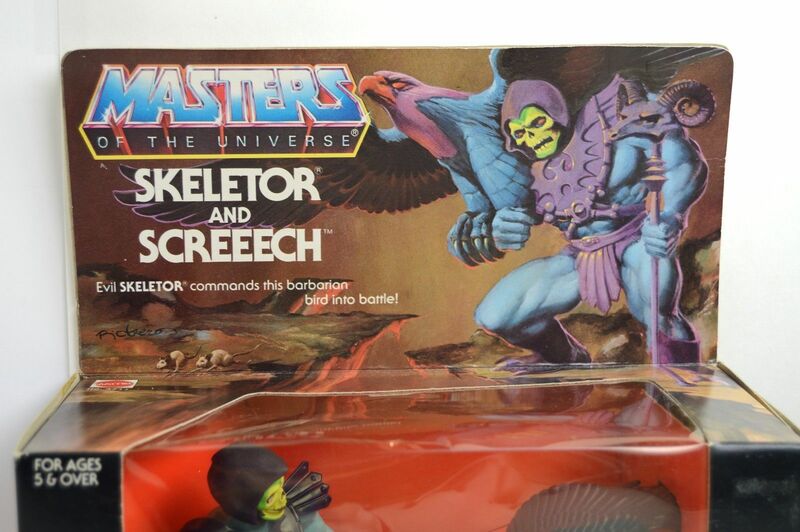 Description: Screeech is depicted both soaring through the smokey skies of Eternia and standing on his perch, which sits on top of a castle turret. 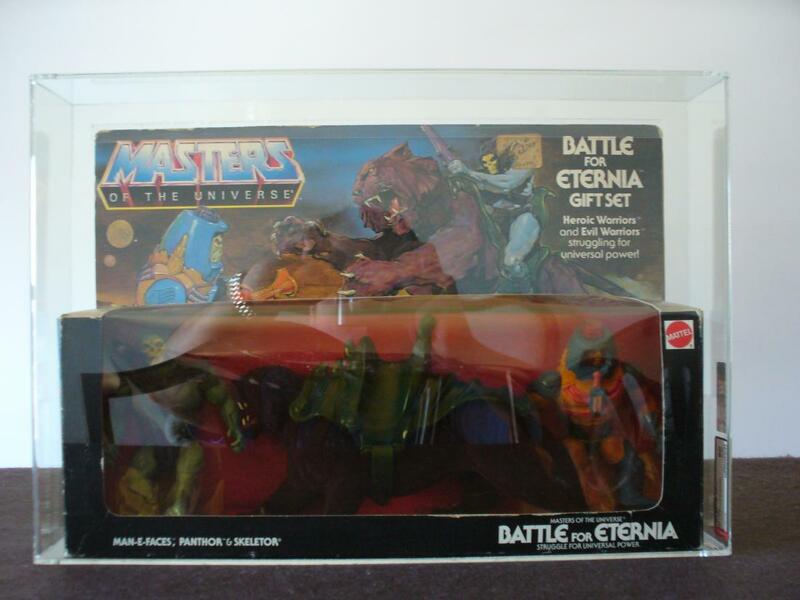 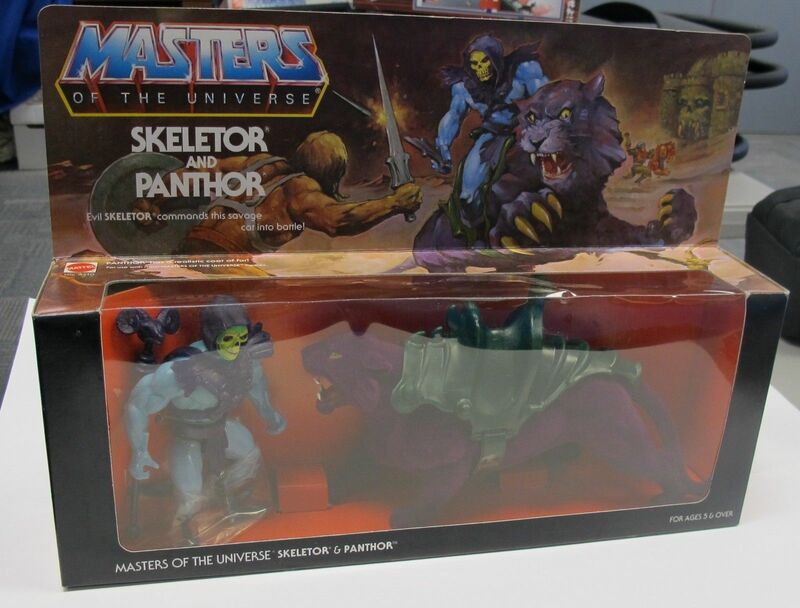 Description: He-Man clashes swords with Skeletor, who sits astride the savage Panthor. 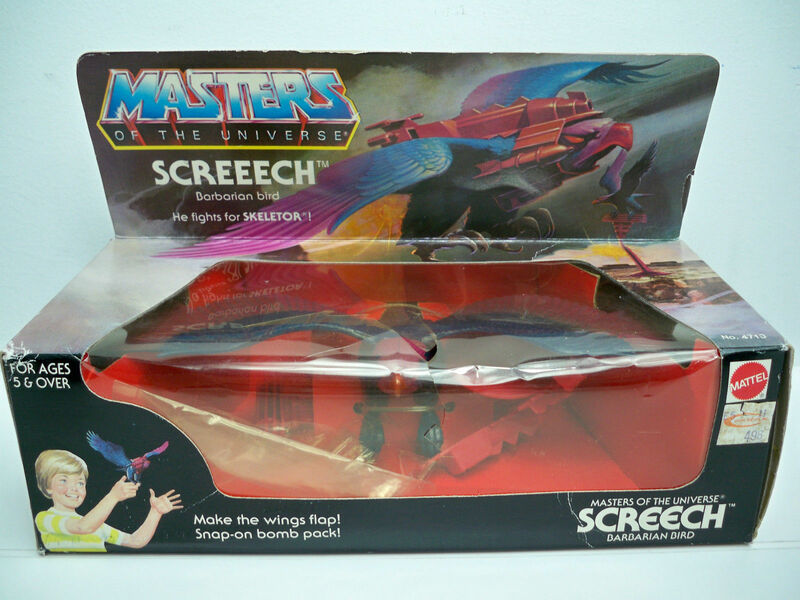 A tiny gargoyle-like creature leaps from harm’s way. 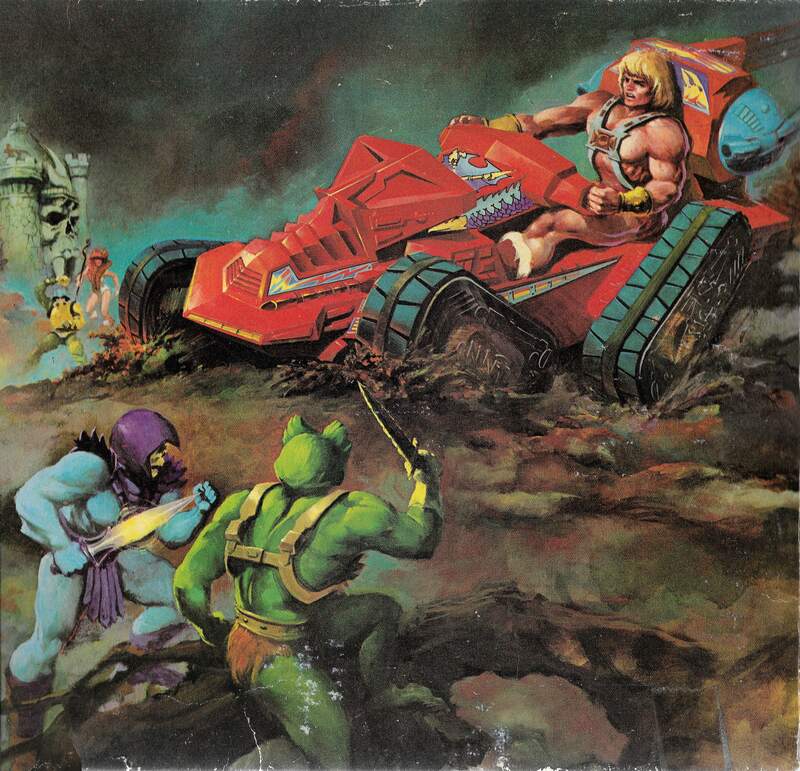 Man-At-Arms swings his club at Beast Man in front of the ominous Castle Grayskull. 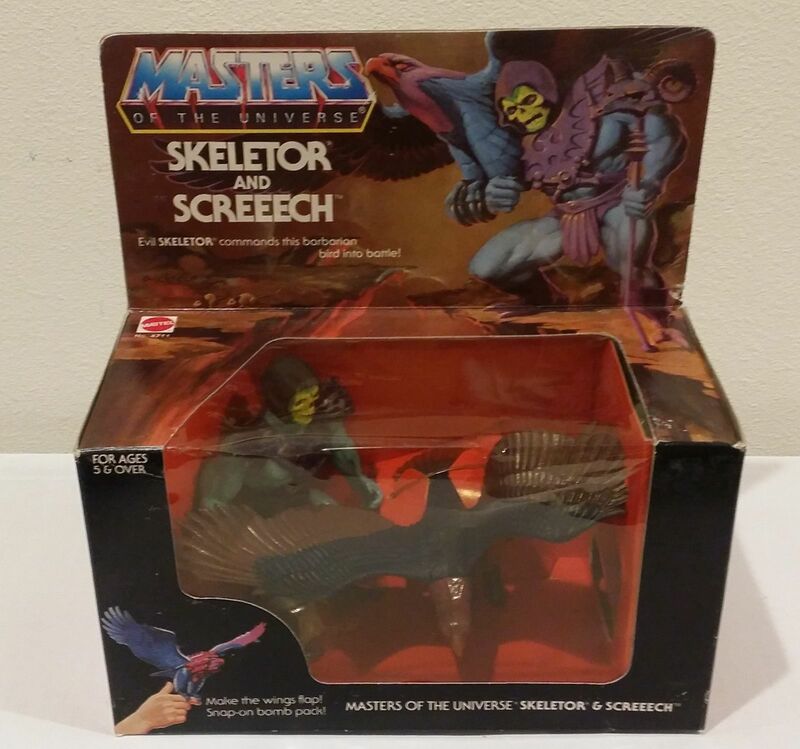 Description: Skeletor stands at the edge of a lava-filled crevasse with Screeech perched on his arm. 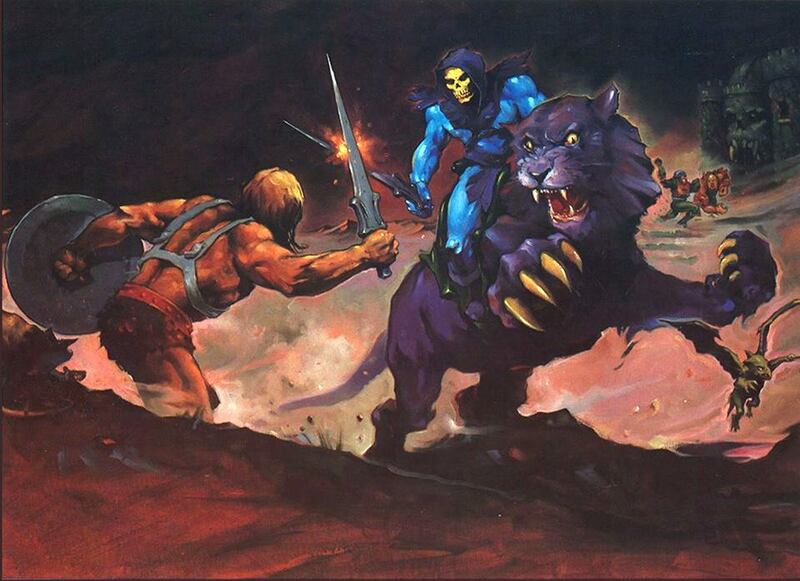 Two rodents run away in terror. 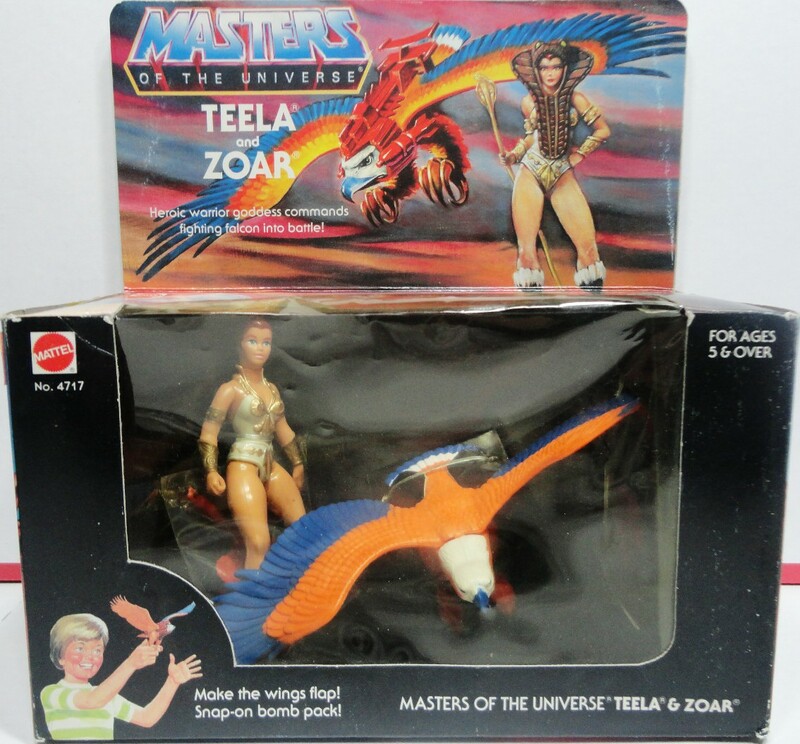 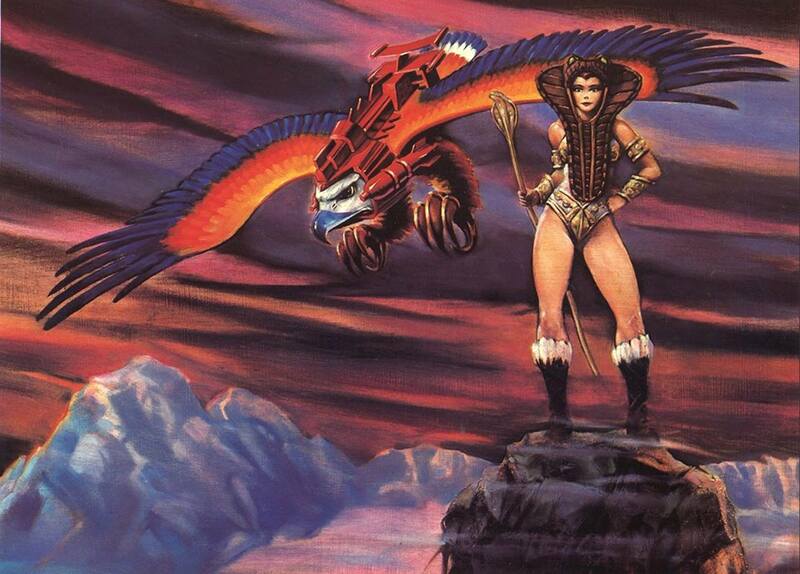 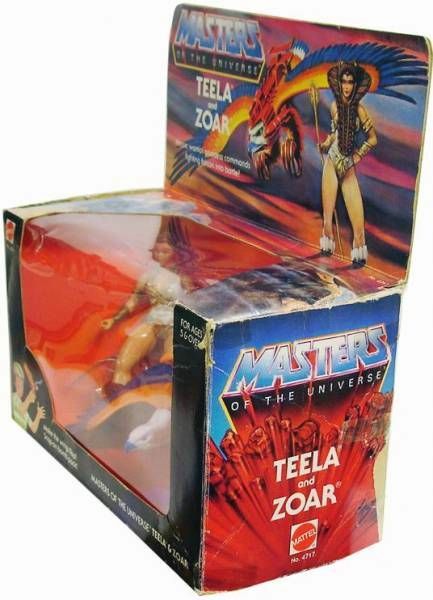 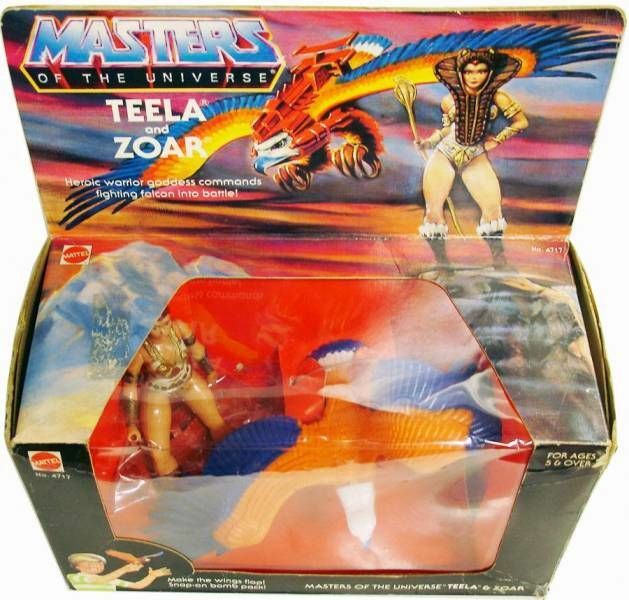 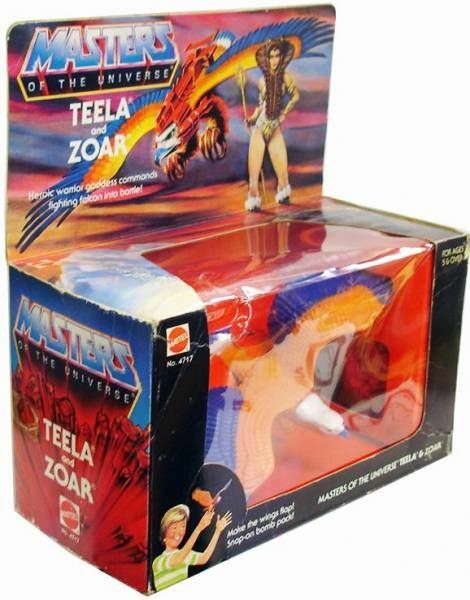 Description: Teela stands atop a rocky mountain peak as Zoar swoops through the skies at sunset. 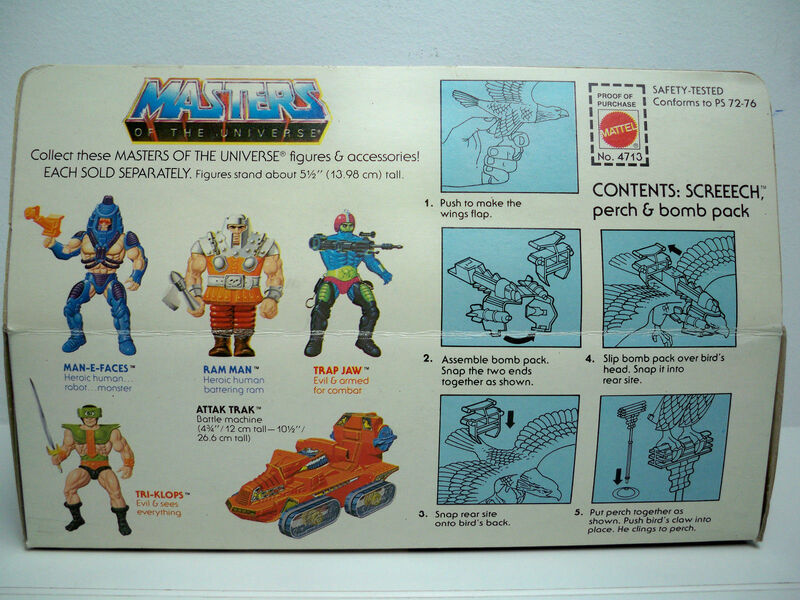 A snowy mountain range is visible in the distance. 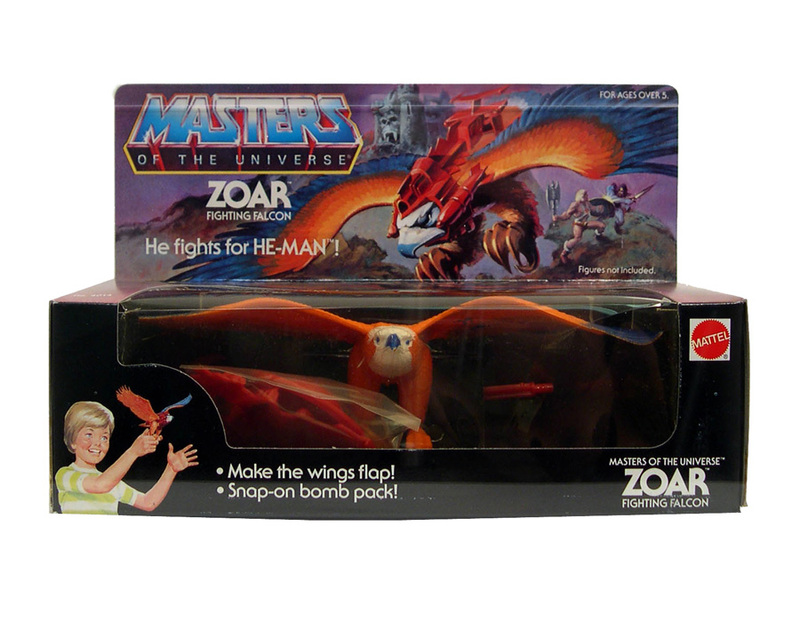 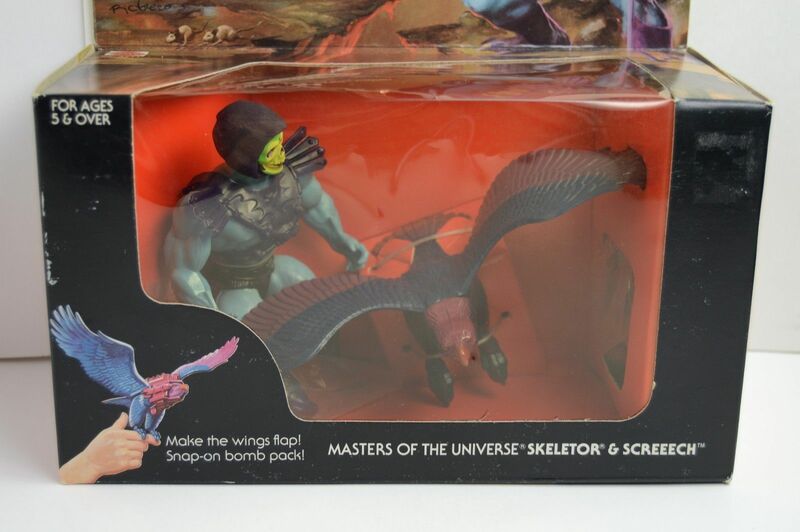 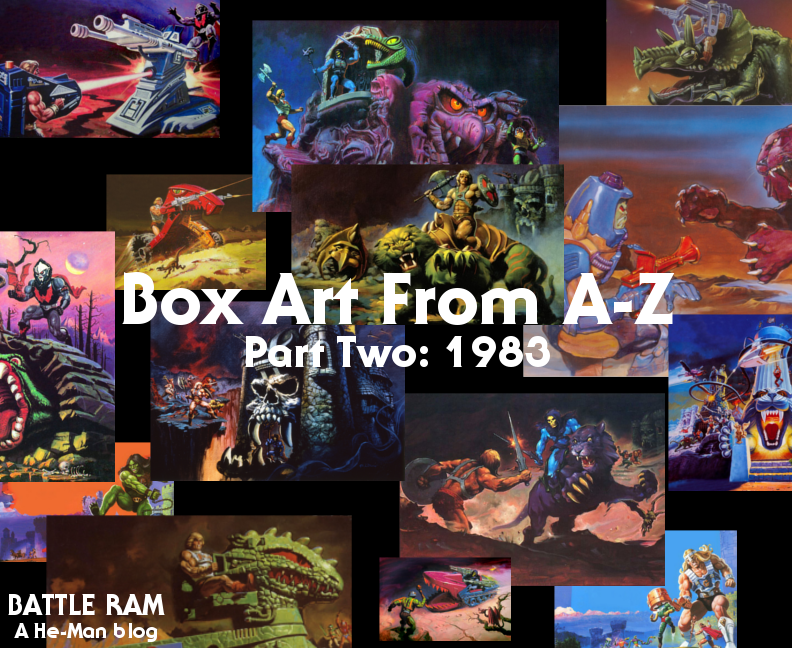 Description: Zoar swoops through the skies as He-Man and Skeletor do battle on a rocky, volcanic landscape. 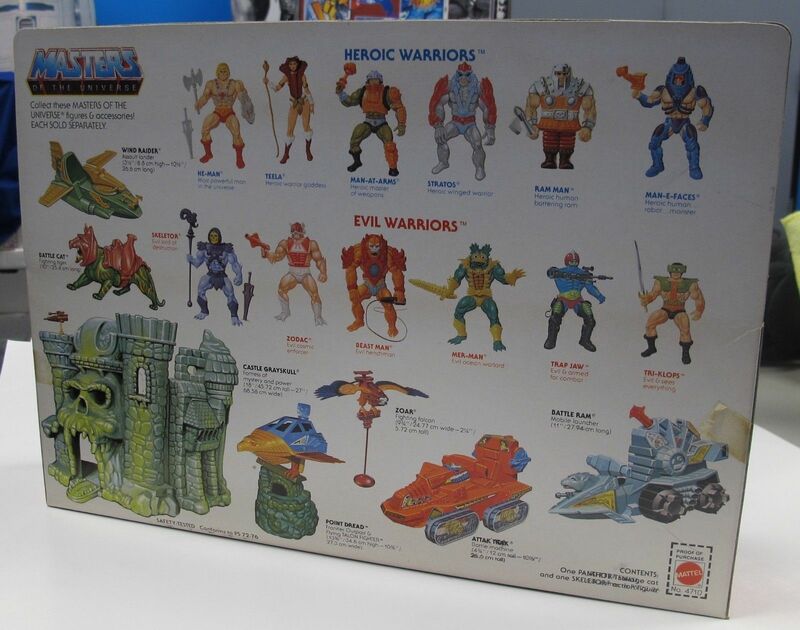 Castle Grayskull looms in the distance. 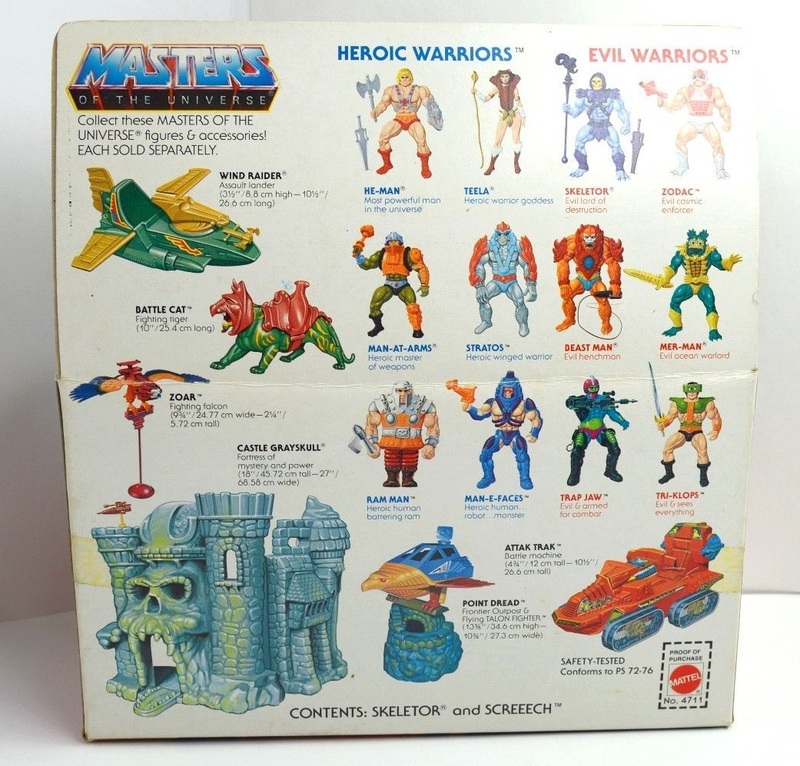 Man, these pictures make my heart flutter just like I was a kid again standing in front of them at the toy store. 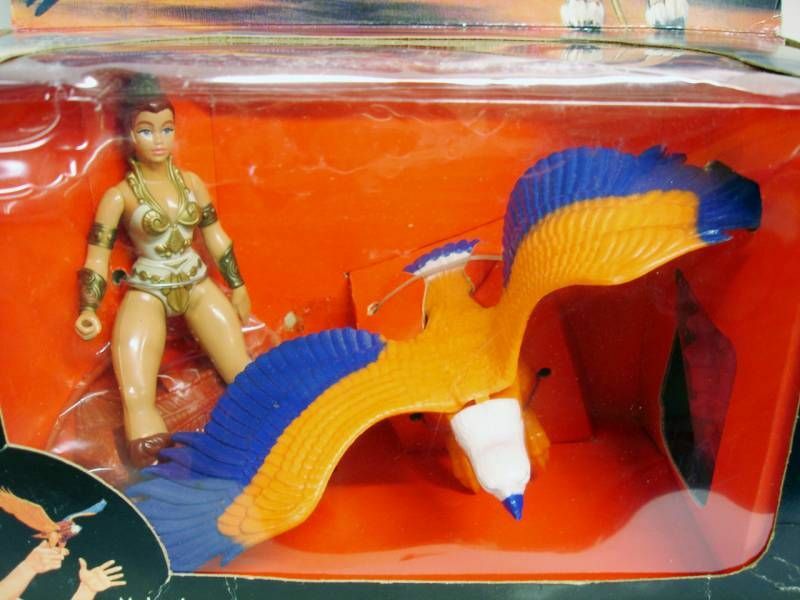 Thanks for making my day!